High end property: The view from the promenade of the marina enclave at the Straits Quay in Tanjung Tokong in Penang. Property players have mixed views on effects of US and European crises. LOCAL real estate valuers, property consultants and the Real Estate Housing & Developers' Association (Rehda) have mixed views over the impact of the economic crises in the United States and Europe on the local property market. 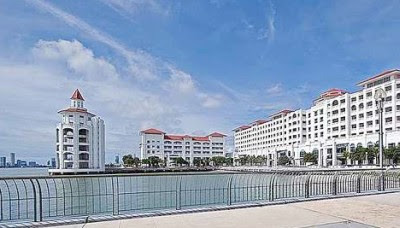 Property consultant PPC International Sdn Bhd managing director Mark Saw says the softening of the equity market due to the economic crisis in the United States and Europe will impact on property prices in Penang. “Property prices in Penang cannot continue on an upward trend forever. The weakened condition of the equity market will influence the capacity of investors to inject funds into the property market,” he says. Chartered valuer and property consultant Azmi & Co (Penang) Sdn Bhd managing director Chandra Mohan Krishnan says there will be some minor corrections in local property prices due to the crisis in the United States and its impact on the local equity market. Tan: ‘If the crisis is resolved within six months, then the impact will be minimal’. “But I believe that the impact would be short-term. The longer-term impact on local property prices would be political events such as the next general election,” he says. Sunway City general manager Tan Hun Beng says should the crises in the United States and Europe last for more than six months, there will be an impact on the local property market. However, registered and chartered valuer C.A. Lim & Co proprietor Lim Chien Aun says the weakening of the equity market may prompt buyers to invest in property as a hedge against inflation. “The conditions are ripe for another round of investment to move into properties. “But whether the investments actually come into the local property market will depend on the political stability of the country,” Lim says. Henry Butcher Malaysia (Penang) director Dr Teoh Poh Huat concurs that the softened equity market will generate positive sentiments and interests in the local property market, as it had proven to be a reliable hedge against inflation. “I don't think the US crisis will have a big impact on property prices here. 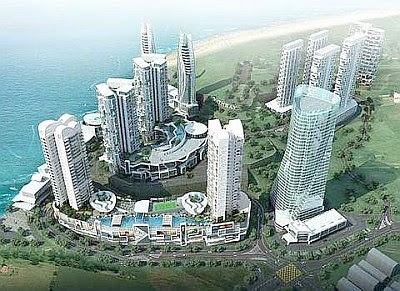 Property prices in Penang, in particular the landed houses, will perform better than the high-rise properties,” he says. Rehda Penang chairman Datuk Jerry Chan Fook Sing says the crisis will not likely lead to distress selling in the local property market. “There was no distress selling in 2008 when the country was impacted by the sub-prime crisis in the United States. We don't think there will be one now either. It all depends on how well the developers can hold on to their projects,” he says. SP SETIA Bhd, Malaysia's most valuable property company, has bought over 409ha of freehold land in Beranang, Ulu Langat, in Selangor for over RM330.1 million cash or RM7.50 per sq ft from Ban Guan Hin Realty Sdn Bhd. In a statement yesterday, SP Setia said it intends to develop a mixed residential township development project on the land with an estimated gross deve-lopment value of RM3.5 billion. "The proposed acquisition offers SP Setia a good opportunity to tap into strong demand for attractively priced homes by first time owners and other home buyers in the Semenyih-Kajang corridor," it said. It also allows the group to further reinforce and expand its core business by replicating its proven township development model in an emerging growth corridor that is not presently served by its more matured projects in the Klang Valley. SP Setia said it is currently too preliminary to ascertain the exact product mix, total development cost, expected completion date or expected profits to be derived. However, its management is confident the proposed development will be well received and is expected to contribute positively to the future earnings and cash flow of SP Setia. The land deal is expected to be completed during the first half of financial year ending October 2012. Ban Guan Hin Realty's principal activities involve the working of an estate, as well as producing and selling of rubber and oil palm fresh fruit bunches. The terrain of the land is generally undulating and is zoned for mixed housing development, and is situated midway between the towns of Semenyih, Bangi Old Town and Beranang.